We are all looking for something to base learning on. We see it in the contemporary educational titles: project-based learning, passion-based learning, competency-based learning, inquiry-based learning. These titles may seem like buzz words but they are important; they set the tone for teacher conduct, curriculum foci, and student actions. Should we base our learning on projects? Passions? Competencies? Student inquiry? 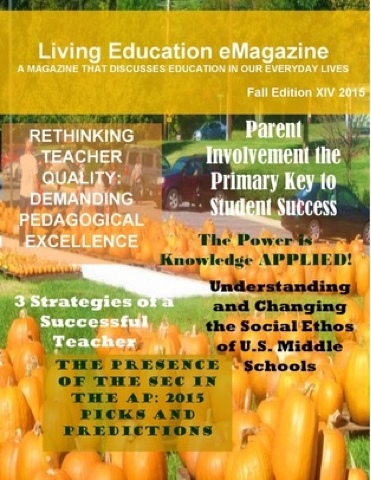 Each of these educational titles is a way to guide the priorities of our pedagogy. “Blank”-based learning methods, in particular, are an attempt to describe a learning process that is meaningful to students. With project-based learning, genuine reality-based projects become the vehicle for learning. With passion-based learning, students’ passions are leveraged for learning. In competency-based learning, learners focus on progressively mastering smaller elements of a greater learning objective. And with inquiry-based learning, students form skills around developing great questions that can’t simply be “Googled”. With all these methods of structuring learning, it begs the question: do we really need another ‘blank’-based learning? 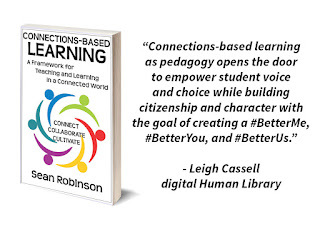 Ponder how these meaningful learning approaches include interpersonal connection. 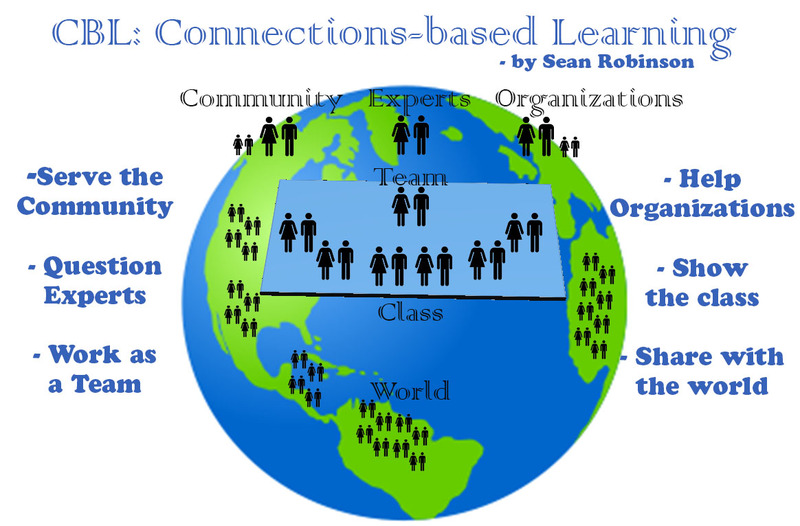 In project-based learning, we see collaboration as an important element. Students often work together as part of a group while completing projects. Imagine how better the process might be if the focus of student activity includes fostering effective collaboration among team members, building relationships with community partners and topical experts, and sharing learning with the world. It would take project-based learning to the next level. We also see connection in passion-based learning. An environment where students feel connected to one another provides the safety to reveal passions. Is it possible to take this further? As student passions are discovered, embraced and leveraged during the school year, could groups with common passions work together with outside organizations to achieve common goals? The mastery focus of competency-based learning requires a good teacher-student connection. Understanding where students need to work is a key component. Students who have mastered a certain concept shouldn’t be inundated with its lessons. Students need to work on concepts that are tailored to their needs, not a one-size-fits-all shotgun approach. Without a great teacher-student connection, these needs can go undiscovered. Imagine the effect of a teacher focused on making a strong connection with each student and supporting students as they discover their own target zones for learning. And connection is also found in the tenets of inquiry-based learning. A sense of community and connection is crucial as students develop and share their genuine questions. Could the students build a connection with others outside the school who are also working on finding the answers? Could students partner with those around the world who have the same concerns, the same wonderings, the same dreams? The idea of connection is weaved throughout these four approaches and the many others that are popping up. In some cases interpersonal connection is already a part of the process but could be developed further. In other cases, adding a focus on connection changes the whole dynamic of the learning. Could it be said that what underlies the meaningfulness of these approaches is the human connection? Connecting with the teacher. Connecting with the class. Connecting with the community. Connecting with experts. Could there be a method of educating that is based on these connections? Connections-based Learning is a not a new way of doing education. It’s a new way of seeing education. It celebrates the way connections are formed and leveraged through education. It reminds us to seek ways of learning that facilitate the building of relationships. It declares that significant learning requires a significant relationship. 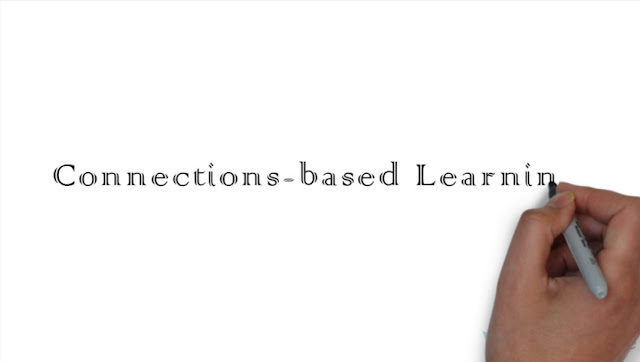 Connections-based Learning makes it a priority to leverage interpersonal connection at each step of the learning process. Whether it is the teacher-student connection, the connection with members of the class, school, and community, or the connection with experts in the field of study, thought is given to maximizing these relationships. But learning through connections doesn’t stop there. Why does the student, who never writes more than a few sentences, write pages to the buddy or the pen-pal? It is the human connection. Why does the learning seem to become galvanized for the student who tutors another? It is the human connection. Why is the whole of a group working together greater than the sum of its parts. Human connection. Picture a class studying Aboriginal Education. The class looks at culture, customs, and artwork. They draw pictures. They hear stories. And they never once talk to an aboriginal person. That is a missed opportunity to get firsthand information, to build a relationship, to honour another. Now picture a Home Economics class developing cooking skills. The teacher has made a connection with a local homeless shelter and once a week, the students cook there. Picture how that one connection will impact the students. Picture how it might affect those at the shelter. Connections add meaning and they provide opportunities to make a difference. Learning in the 21st Century must take advantage of the connected world we live in. We are no longer confined to study other countries from afar. They are only an email, text, tweet, Skype-chat, Google Hangout away. And whether it is space, politics, animal behavior, or dinosaurs, there are numerous experts to contact. All the students need to do is ask; they might be surprised who responds. If we were to base our teaching on anything, I believe it should be developing connections. The classroom becomes a thriving environment of learning. We make local or global contributions that can in turn teach others. We become healthier people. With a focus on developing relationships, there is no need to teach good citizenship. As they work on these connections, students are being good citizens. Connections are accessible to all. Anyone can get an email address. Anyone can ask a question. As I have been having my students make connections, I have found the reception to be excellent. Researchers, academics, agency leaders have responded to a simple question: “Could you help us learn?” And what a difference it makes when students are asking real people questions. They are engaged. They bring their best. They feel important. They become part of a global process to advance understanding. And they learn. Crockett, L., Jukes, I., & Churches, A. (2011). Literacy is not enough: 21st-century fluencies for the digital age. Kelowna, B.C. : 21st Century Fluency Project.